Users of OTM have long recognized the potential for building broad visibility solutions that extend beyond the bounds of pick-up and delivery notification. Today, with enhancements to OTM UI structures and the introduction of advanced tracking technologies, OTM users are now able to achieve greater levels of supply chain visibility with more timely information, increased accuracy, and less effort. 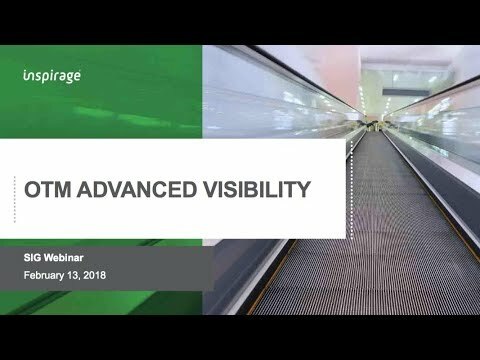 In this session, Inspirage will demonstrate examples of these capabilities and discuss key considerations for deploying an effective visibility platform built on OTM. Presented by Sreejith Perumbilavil, Senior Principal Consultant, Logistics, and Medha Thareja, Manager, Solution Architecture.